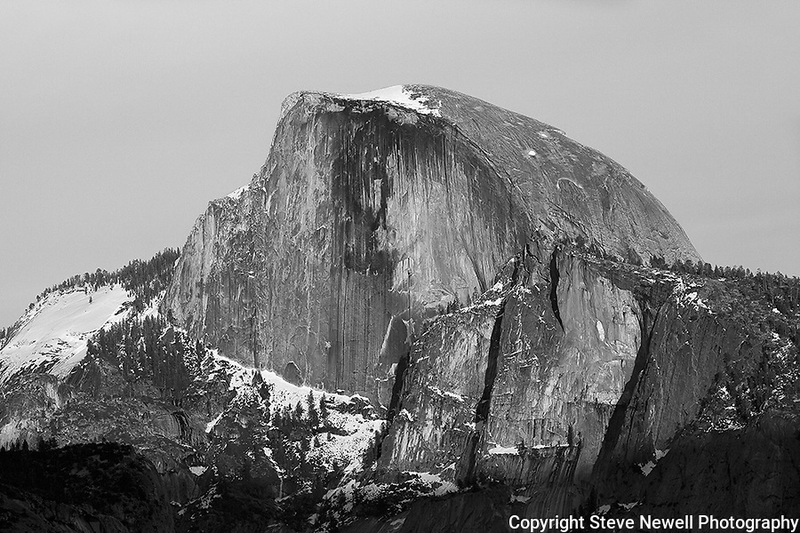 "Half Dome Sunset 3" Black and White. Yosemite National Park, California. I have posted a series of three photographs of this sunset along with an artistic version where I smoothed out the texture of the rock. This photograph was taken a few minutes before the "Sunset 2" image. Capturing Half Dome at sunset really showcases the spectacular colors of its monolithic face. 45,000 people a year climb the famous cables to the summit. I took this picture on my way back down from hiking Yosemite Falls Waterfall.